What is the Goal, Improvement or Certification? 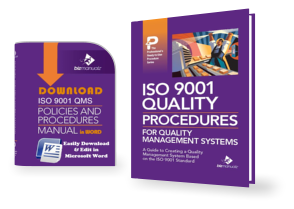 Terms and definitions for use with building an ISO 9001 registered quality management system. The act of giving an organization formal approval to operate an audit and registration program. IAF member countries have organizations that are chartered to accredited Registrars. In the USA, it’s the ANSI-ASQ National Accreditation Board (ANAB); in Canada, the Standards Council of Canada (SCC); in the Netherlands, the Raad voor Accreditatie (RvA). These ISO Accreditation Bodies publish the requirements that they set forth for Registrars to become accredited. These requirements generally follow other ISO documents. The Accreditation bodies regularly audit registrars’ procedures, systems and audit practices to ensure they meet and maintain systems to the requirements. The ASQ established the Registrar Accreditation Board (RAB) in 1989. In 1991, ANSI and RAB joined forces to establish the American National Accreditation Program (NAP) for Registrars of Quality Systems. On January 1, 2005, RAB and the ANSI-RAB NAP was replaced by the ANSI-ASQ National Accreditation Board (ANAB). An authentic description of essential characteristics of audits, which reflects current thought and practice. The organization being audited to an ISO Standard. ISO Auditors work for or contract to Registrars to perform registration assessments and surveillance They are the “front line” in the process. Registrars are responsible for ensuring Auditors meet qualification requirements. Their requirements include training in auditing, ISO 9001 training, and at least one member of the audit team must have experience in the industrial sector of the company being audited. Auditors collect the objective evidence demonstrating the effectiveness (or lack thereof) of the company’s quality management system and make registration recommendations to the Registrar. The Registrar has the ultimate decision however. The American National Standards Institute, a private, non-profit organization that administers and coordinates the U.S. voluntary standardization and conformity assessment system. A unit or function that carries out audits through its employees. This organization may be a department of the auditee, client or an independent third party. See “Auditors”. 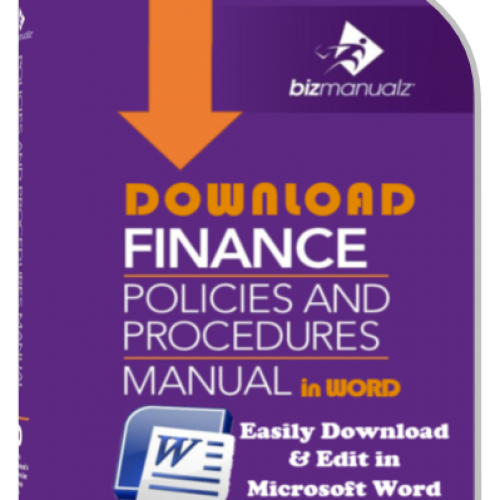 The authoritative act of documenting compliance with agreed requirements. See Top 10 Reasons Why You Need ISO 9001 Certification. An impartial organization possessing the necessary competence to operate a certification program. The person or organization requesting the audit. Depending on circumstances, the client may be the auditing organization, the auditee or a third party. 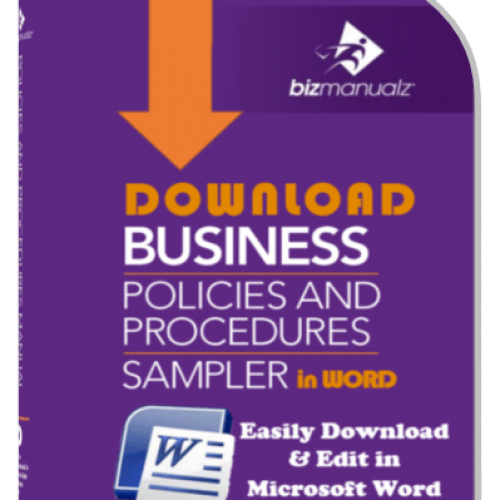 Term used primarily to refer to a business first party, the purpose of which is to supply a product or service. A judgment that a product or service meets or “conforms” to the requirements of a specific standard. See ISO Quality Standards. Formal act of yielding, waiving, or surrendering a right or privilege. A concession is often made in writing by a customer when it has been determined that a product or contractual requirement cannot be met in a practical or cost-efficient way and that dropping the requirement will not materially affect the desired outcome (or may even improve it). Also see “waiver”. The fulfillment of specified requirements. Same as compliance. Critical evaluation of a binding agreement (contract) between parties, for the purpose of ensuring that requirements are clearly and adequately stated so that each party understands the requirements placed on it by the contract, as well as ensuring that each party is capable of meeting – and is willing to meet – its contractual requirements. A contract review is done before the contract is made formal and legally binding (by the signature of both parties, for instance). Actions taken to correct or eliminate a detected nonconformance, defect, or problem. 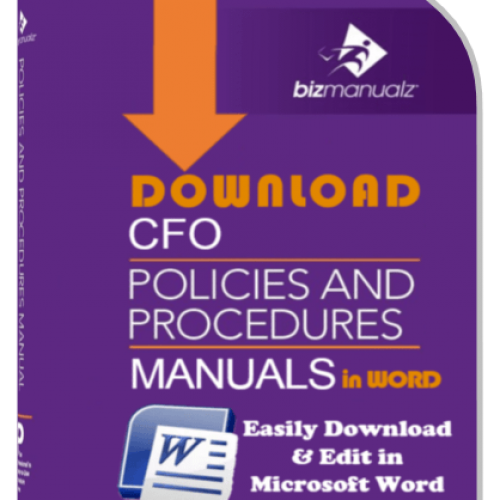 A common ISO Definitions term, it represents a process, or series of actions, designed to minimize or eliminate the likelihood that a nonconformance, defect, or problem will recur, or happen again; not to be confused with “correction”. 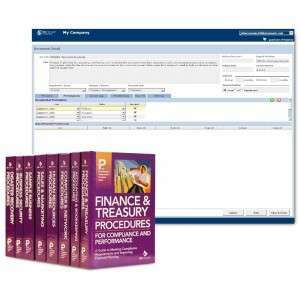 See Understanding Corrective Actions. A relative measure of the consequences of a failure mode and its frequency of occurrence. Ultimate consumer, user, client, beneficiary or second party. The non-fulfillment of intended usage requirements. The departure or absence of one or more quality characteristics from intended usage requirements. See nonconformance. The extent to which evidence is produced to provide confidence that specified requirements are fulfilled. Capability of meeting a specified set of requirements, usually established by repeated use over an extended period of time; trustworthiness; reliability. A formal, comprehensive examination of a product design and the product design phase, where design capabilities are compared with design specifications (requirements), problems are identifed, and solutions are proposed. Design reviews may be conducted at any point in the design process. A description of the physical and functional requirements for a product. In its initial form, the design specification is a statement of functional requirements with only general coverage of physical and test requirements. The design specification evolves through the research & development phase to reflect progressive refinements in performance, design, configuration and test requirements. The transfer of the design basis or baseline into specifications for the product, its components, packaging, labeling, and the manufacturing and quality assurance procedures, methods, specifications, etc., so that the product can be produced using production methods. A failure to meet the specified requirement, supported by evidence (Also can be called Nonconformance, Deficiency or Finding). Resolution (as of a matter); settlement. For example, “The final disposition of the returned material is determined by the Quality Manager”. Something written or printed that provides factual information or proof; any object used as evidence; to prove or support by means of documents. The conditions, circumstances, influences and stresses surrounding and affecting the product during manufacturing, storage, handling, transportation, installation and use. An event in which a previously acceptable product does not perform one or more of its required functions within the specified limits under specified conditions. The logical, systematic examination of an item, including its diagrams or formulas, to identify and analyze the probability, causes and consequences of potential and real failures. See Failure Modes Effects Analysis (FMEA). The physical or chemical process, design defect, quality defect, component misapplication, or other processes which are the basic reason for failure or which initiate the physical process by which deterioration proceeds to failure. The consequences a failure has on the operation, function, or status of a product. The manner in which a failure is observed. The way a failure occurs and its impact on the product performance. The process of identifying potential weaknesses or risks. A design FMEA reviews schematics, engineering drawings, etc., to identify basic faults at the part/material level and determine their effect at finished or sub – assembly level on safety and effectiveness. A process FMEA is the same but looks at each activity or task within a process to determine risks and possible actions or controls to reduce risks. The occurrence of two or more failures of the same component or feature in identical or equivalent application, which are caused by the same basic failure mechanism. The process of identifying potential design weaknesses using a highly detailed logic diagram depicting basic faults and events that can lead to system failure and/or safety hazard. The International Accreditation Forum, the world association of conformity assessment accreditation and other bodies interested in conformity assessment in the fields of management systems, products, services, personnel and other similar conformity assessment programs. Its primary function (according to the “About IAF” page) is to develop a single worldwide program of conformity assessment which reduces risk for business and its customers by assuring them that accredited certificates may be relied upon. ISO comes from the Greek word ‘isos’ for equal. It also refers to International Organization for Standardization, a network of hundreds of national standards institutes that is, according to its web site, the world’s largest developer and publisher of international standards. Its Central Secretariat. See What Does “ISO” Mean? and What is ISO? An organization that is chartered by ISO to accredit Registrars in a member country. “Member body” is actually the highest of three ISO member levels; the others are correspondent members and subscriber members. A member body can take part in any ISO technical or policy committee and cast votes. The individual appointed by the registration organization to be responsible for the quality audit and the audit team is the Lead Auditor. A formal examination of a project and its status, successes, problems encountered, etc., compared with project objectives. The management review is conducted by “top management”. which usually consists of a chief executive officer, a chief finance officer, the ISO management Representative, and the quality manager, at a minimum. In 1991, ANSI and RAB joined forces to establish the American National Accreditation Program (NAP) for Registrars of Quality Systems. On January 1, 2005, RAB and the ANSI-RAB NAP was replaced by the ANSI-ASQ National Accreditation Board (ANAB). A condition of any product or component in which one or more of its characteristics do not conform to requirements. Nonconformances include product (part) failures, deficiencies, defects, and malfunctions. A nonconformance may also be referred to as a “nonconformity”. National Institute of Standards and Technology; a non-regulatory federal agency within the U.S. Commerce Department’s Technology Administration. Its stated mission is to develop and promote measurement, standards, and technology to enhance productivity, facilitate trade, and improve the quality of life. A statement of fact made in an audit team’s report that something was found during the audit that doesn’t rise to the level of a nonconformity (no objective evidence of nonconformity, doesn’t require a corrective action) but which, if left alone, could result in a future audit finding. Sometimes referred to as an “opportunity for improvement”. 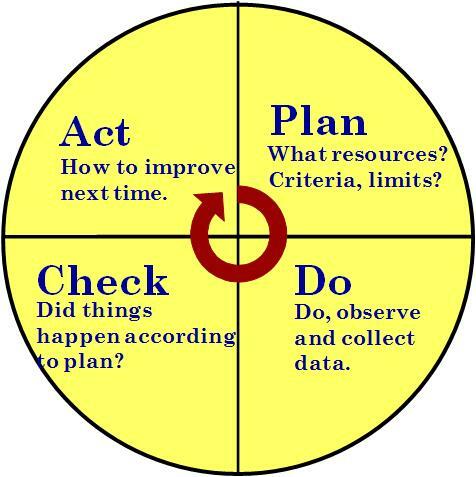 The PDCA process-based improvement cycle used in both ISO 14000 and ISO 9001 standards. 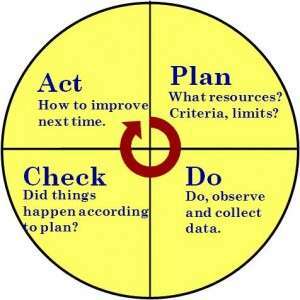 See How Are PDCA Cycles Used Inside ISO 9001? A definite course or method of action to guide and determine present and future decisions. It is a guide to decision making under a given set of circumstances within the framework of corporate objectives, goals and management philosophies. 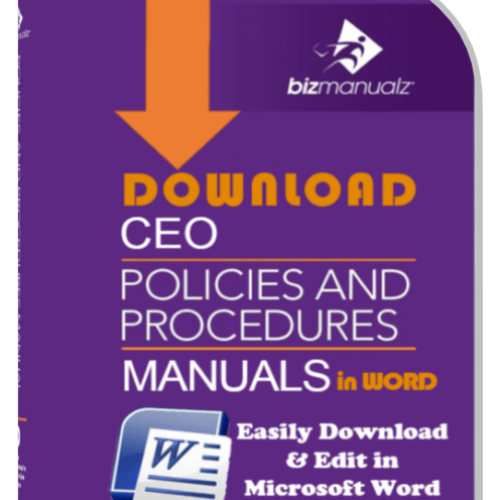 ISO mandates a Quality Policy be developed and used as a basis for your quality objectives. An action taken to eliminate the causes of a potential nonconformity, defect or other undesirable situation, to prevent occurrence. See Understanding Preventive Actions. A particular way of accomplishing something, an established way of doing things, a series of steps followed in a definite regular order. It ensures the consistent and repetitive approach to actions. Quality Procedures are procedures that meet or exceed ISO 9001 requirements. A set of interrelated resources and activities that transform inputs into outputs with the aim of adding value. Resources include personnel, facilities, equipment, technology, methodology and finances. The aim of adding value if quality related. The result of activities or processes. A product can be tangible or intangible, or a combination of both. A written authorization for a product, before its production, to depart from originally specified requirements; also known as deviation. A documented determination that a product (and possibly its associated software, component, packaging, or labeling) meets prescribed design and performance requirements. A planned and systematic pattern of all actions necessary to provide adequate confidence that the product, its components, packaging and labeling are acceptable for their intended use. Methodical examination of an organization’s quality management system, in whole or in part, to assure conformance to a specific quality standard (e.g., ISO 9001). Quality audits may be conducted by external (third) parties or they may be done internally. “Certification audits” must be conducted by accredited third-party auditors. One who conducts a quality audit; must be qualified to conduct quality audits. Also see “lead auditor”. A document that contains requirements for quality system elements for products or services. The results of activities such as inspections or quality audits. The actions taken to increase the value to the customer by improving the effectiveness and efficiency of processes and activities throughout the organizational structure. Used by management as a guide towards improving performance. The Quality Management Principles were derived from the experience of experts on the technical committees and represent the main elements that a good quality system must have. The eight principles are: Customer Focus, Leadership, Involvement of People, Process Approach, Systems Approach to Management, Continual Improvement, Factual Approach to Decision-making, and Mutually Beneficial Supplier Relationship. A translation of customer needs into a set of quantitatively or qualitatively stated requirements for the characteristics of a product or service to enable its realization and examination. The requirements for quality should be initially expressed in functional terms and documented. Registrar Accreditation Board. The U.S. organization for accreditation of Environmental Management Systems ISO 14001, Quality Management Systems ISO 9000 registrars, and auditor training course providers. On January 1, 2005, RAB and the ANSI-RAB NAP was replaced by the ANSI-ASQ National Accreditation Board (ANAB). Organizations that issue ISO certification. Also called “certification bodies” or “registration bodies”. Their place in the system is to verify companies meet the requirements of ISO 9001:2000 and certify or register companies that do. Registrars must meet the requirements of the Accreditation Bodies. These requirements include things such as independence; Registrars cannot consult for instance. This system ensures uniformity in the registration process. A formal verification process by an accredited body that an organization has been audited and shown to comply with ISO 9000. A quantitative assessment of the reliability of a product, system or portion thereof. Such assessments usually employ mathematical modeling, directly applicable results of tests on the product, failure data, estimated reliability figures, and non-statistical engineering estimates. The Dutch council for accreditation. It was established to supervise and monitor organizations which judge quality systems and/or examine an organization on the basis of European and international standards and provide accreditation. Standards Council of Canada, the ISO Member body chartered to accredit Registrars in Canada. The consequences of a failure mode. Severity considers the worst potential consequences of a failure, determined by the degree of injury. The organization that provides a product or service. Same as subcontractor. The principal functioning entities comprising the product, e.g. hardware, software. Also an organized and disciplined approach to accomplish a task, e.g., a failure reporting system. The Quality Management System (QMS) consists of the realization and support processes required to ensure the products meet customer requirements. The determination by technical or scientific means of the properties or elements of a product or its components, including functional operation, and involving the application of established scientific principles and procedures. The ability to trace the history, application or location of a product and, in some cases, service by means of recorded identifications. Traceability may refer to: a product, a calibration and its relationship to the measuring equipment and the national or international standards, primary standards, basic physical constants, properties or references materials. Traceability requirements should be specified for some stated period of history or to some point of origin. Act or process of establishing (confirming) the accuracy or existence of something; in the quality field, verification is a systematic, objective, and documented process of confirming that a product or service conforms to various requirements (customer, regulatory, etc.). Act or process of establishing that the results not only meet requirements but also satisfy the intended purpose. Learn how to use procedure validation. Voluntary surrender of one’s privilege(s); relinquishing, or not insisting on, a right or privilege. In quality, a waiver is generally a customer’s written authorization that the vendor to release its product, even though the product does not conform to one or more requirements; also known as a “concession”.